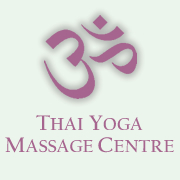 Yoga Instructor and Massage Therapist/practitioner in Ascot, Berkshire. We all experience tightness in our muscles from time to time whether from inactivity, poor posture, repetitive strain or sports-related injuries. Yoga and massage are two ways of relieving tension in the muscles that help bring the body back into balance. Attending yoga classes is an effective way to keep the body strong and flexible and bring long-term relief from back problems. Held in a purpose-built studio, there is a variety of yoga classes on offer, as well as Pilates and Nia. Click on the Studio Timetable to see a list of classes as well as the instructors contact details. Massage is a also an effective way to relieve tension and restore function and mobility to the muscles and joints. From Deep Tissue to Traditional Thai, choose the style of massage that suits you. 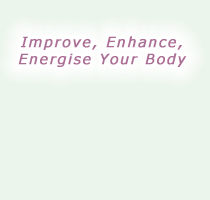 Try a Zero Balancing session to align the skeleton and leave you feeling energised yet relaxed. For relief of back problems, come and learn a specific yoga-based stretch routine that you can practise at home with an illustrated manual. For more information, please call 0203 239 5090 or click here to send an email. Various yoga classes with different teachers as well as pilates and Nia held in a private studio in Ascot. Applied pressure and yoga-based stretches to stimulate and rebalance the body’s natural flow of energy. Flowing 'effleurage' strokes to stimulate the circulation, ease muscle tension and promote relaxation. Slow, firm strokes to break down deep knots, relieve tension and muscular pain, including sports injuries. Using gentle finger pressure and held stretches, the spine is aligned and the whole body feels balanced. Science-based nutritional products help prevent illness, increase energy levels and improve overall vitality.